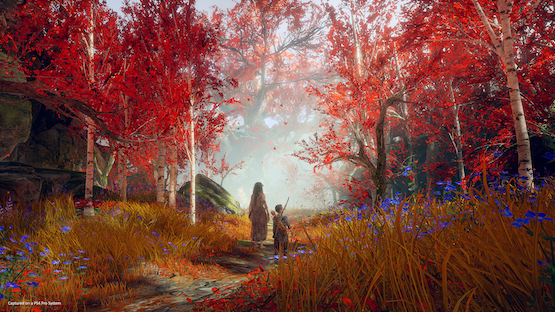 Art is often a reflection of the creators behind it, and video games are no different. 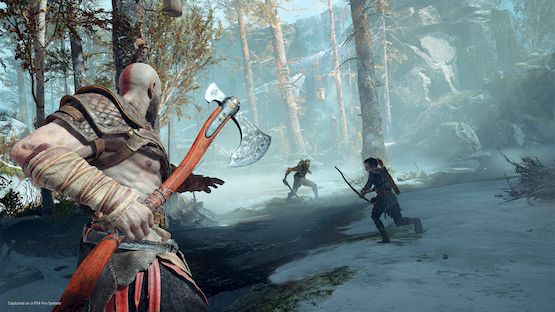 God of War director Cory Barlog was instrumental in crafting the Kratos that fans know and love, but he’s in a very different place in 2018 compared to when he directed God of War II over a decade ago. As such, the new God of War is a reflection of both Barlog and the Sony Santa Monica team as a whole maturing over the years. 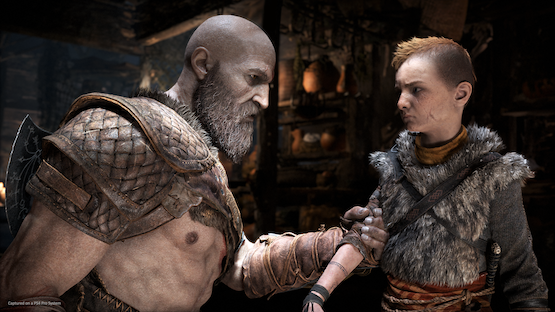 To learn more about the game, I was lucky enough to have a discussion with Cory Barlog. We talked about the game’s new combat, which has divided fans, the freedom of Norse mythology, how difficult change can be as a person, and discussed the changing gaming landscape. Tyler Treese: Compared to past games, if seems like each individual combat scenario seems more fleshed out in a way that I was never feeling like I was just going through yet another combat exchange. Every single one felt unique and it felt like I had to be on guard. It wasn’t just mashing buttons any, so was that a big design philosophy change and making sure it felt unique each time? Cory Barlog: Andrew Chrysafidis will weep inside a little bit to hear those remarks. Andrew is sort of the lead of the combat encounters group. He started as a level designer and we sort of asked him to help us on this to kind of head up the combat encounters. So he brought a huge amount of passion to that sort of task, and I think it shows that like every time you get into a fight, it’s not like, “Oh, here’s the rehash of this fight. Right?” Because we were obsessive over constantly playing things and tweaking up to the last very second. I’m still wanting to go in and change a bunch of stuff. I think from the beginning when we had talked about how combat needs of feel in this game, [how it] needed to feel like a varied experience. If we’re going to be engaged for a long period of time, you couldn’t feel like you’re having the same fight in the beginning of the game as you are at the end. It was not an easy thing to achieve and I think that is literally the phrase I use on everything in this game because I feel like everything was an uphill battle. But yeah, that was something that even in its earliest phases, we knew we needed some way to differentiate them, and I think those ways didn’t even come online for three years. So, for the first few years the fights, they were just not very good. I think because we lived with bad fights for so long, it made it even more like important for us to make them bigger. Norse Mythology opens up so many opportunities for you creatively. What was the most interesting part of that learning for you from the enemy designs to the characters? What was the most satisfying in just opening up that realm? Wow. Norse myth. Right from the first time I started reading about it, I saw this amazing, weird sense of humor. My wife is Swedish, so I’m familiar with the Scandinavian kind of odd humor. It’s very dark and very deadpan. When I saw that, I realized we need that sense of humor. God of War has to have that if we’re going to have an extended engagement. You can’t just be serious all the time. Then starting to dig into the creatures and the sort of various characters was very interesting because it’s so different from Greek mythology. I started to formulate a way I could talk about it to the team. So when I was doing the research, I wanted a really easy way to start describing everybody and looking at Greek mythology. The Greek gods are kind of the politicians of the world. They’ve got the beautiful armor, marble palaces, they’re all a front, and they manipulate little people below them. They’re the epitome of the politician. As I was reading about the Aesir Gods, I was reminded of Hunter S. Thompson’s way of describing the Hell’s Angels in that book from the sixties [Hell’s Angels: The Strange and Terrible Saga of the Outlaw Motorcycle Gangs] when he was immersed in that biker gang. They’re just the people who pride themselves on being the dirtiest, ready to fight at any time, party all night, and just live life to the fullest. It felt like that was the description that goes to both Aesir and the Vanir Gods, as they lived life to the fullest because they all know they’re going to die. Not only do they know they’re gonna die, they know exactly when and by whom’s hand, so everything is just sort of preordained to them. They kind of are freed by that concept of saying everything’s sort of preordained, so I’m just going to live every moment to the fullest that I can. It really allowed us, I think then at that point to start digging into how are we interpreting these creatures. Because that is one of the big things I was talking about in the early part was I don’t want to just make like the standard [Dungeons & Dragons]. Like if we’re going to have a dragon in there, I don’t want to just have the standard dragon that you expect. We need to put our own stamp on it. We need to take what the myth tells us and then kind of take our own perspective because you know, things like Marvel, they have their own version of Norse myth, right? It’s very much like the heroic hunky Thor, the blonde hero. Thor in the myth is a jerk. He’s the worst man. The worst. Like somebody reads some of these stories about him and it’s like, “Oh wow, he was brutal.” And that kind of portrayal really has this sort of cool sense of reality. You connect with somebody who is very flawed but also viewed as this sort of God, right? You can kind of take both of those sides, and then paint your picture. Your sort of path of it, but define the creatures while still even wanting to take our own take on. It really was a long journey. I was quite surprised. We went through a lot of iteration, even on the most basic creatures. We spent like a year on the Draugr alone and trying to find our own take on it because it was fairly limited in their descriptions in the myth. Kratos, I don’t want to say he’s ever been emotionless since obviously we see his rage throughout the series. Yeah. So to see him as a father is a very strange role for the character, and I could see him [in the demo] kind of having trouble trying to relate with his son a bit. Like you could see moments where he wants to like put his hand on his shoulder [to comfort him], but he can’t quite bring himself to do it. How difficult was it like staying true to the character yet also showing a natural evolution? Because obviously he’s changed since the past games. That is hard. I mean, that’s why I did this. Like I wanted that challenge of taking a character that like everybody who goes this game goes, “I know who this guy is. He’s a jerk.” Right? And “He’s terrible, he’s just angry all the time.” And okay, that’s great. I want people to go with that because I want them to see that sometimes when you’re looking at something from one angle, you don’t see all of it. There is so much more to it, but we didn’t show that. We didn’t explore that. We explored a little bit of it in the first game, but I think that the driver was the character. He grew up in the most vicious military training program in the history of mankind. In the history of warfare, there’s never been a military training program like it. They had soldiers begin training at eight years old. They’re not considered finished with the training until their early twenties. The program was designed to eliminate every aspect of humanity out of the soldier and turn them into an instrument of pure war. That was just a start. Then he finds out his dad is Zeus, and then it has this sort of horrible Greek tragedy of a life where he realizes everyone is trying to betray him. That is really kind of taking any kind of humanity, any opportunity for really feeling the spectrum of emotions and stamping it down. So, having his son, Atreus, was critical to me to show that he’s not going to on his own go like, “I want to change tomorrow. I’m a different person. Hey, I’m going to save the world riding a white horse.” Like this isn’t, it’s not real. Doesn’t feel right, but he has a struggle like all of us. Any sort of major change we want to make in our life is hard. Change is not easy and true change takes time and takes thousands, millions probably, of failures along that path and that’s the interesting thing. That’s the drama. That’s the path that, at least for me, I enjoy watching. I enjoy flawed heroes that actually struggle, you know, with their own sort of path and are not really aware that they reach that level of being a hero. Like to me, Kratos will never I think reach a point of total, like I am the hero of the world, right? This is not him, but his victories are victories of carrying in his head, strength and emotional availability slash vulnerability. Biggest to me, I truly believe those are not opposing concepts. I think that all of us today can see that you can be strong but also have some kind of emotional availability. I do not believe we can relate to another human being without having that. No one finds it interesting to look at the person who is perfect all the time. They have no flaws. Flaws are what open us up to another person to show that we are not having a veneer, a fake sort of exterior. So for Kratos, it’s just even harder to find what that sort of modulation level is, right? Because we, I think that the first two years it was just miserable for the writers. Like, like they were writing the same scene over and over again, and then sometimes they would be the voices and then we’d have people play it on the team and they would just get eviscerated. “This is terrible. He’s too mean,” or “He’s too nice,” and “Atreus doesn’t sound like a real kid. He’s annoying.” It was just two years of unrelenting criticism, which is great because that’s what I wanted. I wanted that [during development] because I don’t want that when the game’s out. I want to get through all of that and get to the point where people say, “OK, he’s not perfect. He’s not there, but I appreciated when he gets that tiny victory when there maybe is a point where he’s able to embrace his son.” Where there’s a point where he’s able to give him a compliment. Right. Because that’s a big thing for him. He never had a father show him how to be the father. So it’s like he has no role model to work from is uncharted territory. That’s interesting because honestly that’s what creating anything is. You’re in a dark room looking around for a switch, just feeling around. Right? Unfortunately, there’s a thousand fake light switches on the wall and there’s only one correct one and it’s really hard to find that. I think the character payoff, especially for a long time fans as this is a sequel, not like a reboot, is because you are seeing the genuine growth of the character. I think it’s much more interesting. Yes. It’s like the first games serve as the backstory, right? And it’s like people say, “Oh, why didn’t you start over and bring a new character?” And I was like, but it’s like a decade of character development. You can’t. Why would you ever throw that away? Like why wouldn’t you want to see what it’s like. We’re not the same people we were in our high school years, in our college years, right? And then in our middle age, like we change throughout life and I think Kratos is the same. That life in the first games is sort of like how my life and how the rest of the team’s life was. We were in our college years of development. We lived in the moment, we were thumbing our nose at the man, and trying to top everybody else. We were staying up late and we were making changes at the last second, and we were just not really measured in thinking about things. We were just going for it. It was pure, and I think that’s fine. That’s great because that’s who we were. Now, we come back to development, we just see everything with a different lens. We’re different people and then we have this energy of all these new people coming into development, so you mix that together and you have this whole new way of looking at making games. I was like, why would we not harness that and try something different? But still have that sense of familiarity. 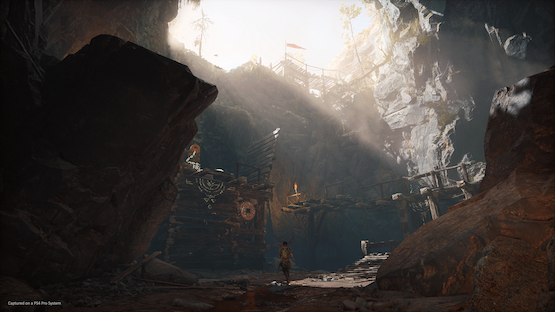 I mean, the hope, the phrase I used throughout the beginning of the development of this was this “familiarly different,” so when you play the game, it feels like God of War. Maybe not exactly one to one, but you feel the soul, the DNA of God of War, but it’s different. It’s that they’re so visually camera wise, different. The pace is a little bit slower, but still in the heat of the moment, God of War was felt in those combat experiences. I think that hard to do, but I hope we’ve achieved it. Yeah, I think you definitely have. You’ve been really open about becoming a father yourself, and this seems like a very personal project to you. So how do you just feel with it wrapping up, like how’s that? It has to be such a milestone after all these years of work. Yeah. It’s a really complicated time. You know, because I am, I am at my most exhausted right now, but also like weirdly energized, you know, like, like energized because it’s done. Sad because it’s done right. There’s that description that I think pretty much every President talks about. That they’re surrounded by people and Secret Service and everything’s chaotic and crazy, and then the day that the last week of Service people drive off and they’re just Joe Citizen is that weird like silence that you experience. And my job isn’t like the President’s job, but there is that sense of it being chaotic. There are a thousand decisions to make every 10 minutes and it is just constant go, go, go, go all the time. I’m behind schedule every single day and there will be a point in the next three weeks probably where everything stops. So we’re in an interesting place with a gaming right now because we’re seeing season passes, we’re seeing loot boxes, all of that even in single-player experiences and fans have been coming to you on Twitter to express concerns. You’ve been very vocal in talking about what you view God of War as. Can you just expand on your thoughts on what you feel like the ideal single-player game experience is, how that has a influence God of War and how this product has come together? I feel like for me it’s the experience of when I bought Half-Life 1. I went to the store, I bought it, took it home, installed it, and played it and everything that Half-Life was on the disc. I got to the whole experience that they wanted me to have. That’s the experience to me that I want to deliver to people out there that I’m not like, oh, I held back something. It’s like, no, no, no, no. Everything that we have in us is not left on the field, it’s put into that game. So that when you buy it, you have that feeling of like, I get this entire experience. I can go home, I can save this thing, and I can know that you have given me everything you possibly can. I have literally nothing against, you know, multiplayer or cooperative [games]. Even the concept of, you know, microtransactions when done under in a format of like, “here’s the game for free, pay what you want.” That’s a great concept, right? It can be misused for certain, but I think for single-player games, for the concept of saying, here’s a narrative experience told from the point of view of a director and an amazing team that is going to transport you into a world and take you on an adventure and really deliver on the promises that they make. There’s nothing like that, man. I hope we never lose that from the game industry. I think it’s one of the marks. There are so many other guys that have been able to do this. You know, that we have just the sister studios that we have in this company, you know, Naughty Dog, Bend and Media Molecule. Everybody’s stepping up and showing like you can tell great stories. I love the commitment we have at Sony, which is that we’re going to be committed to great single-player experiences. Right? It’s great stories. We’d like to give a major thank you to Cory Barlog and the team at Santa Monica Studio for letting us see God of War early. For even more coverage, check out our hands-on preview of the opening hours, and our interview with the combat team.